Or you can click the “Citations on the EndNote toolbar and select Edit & Manage Citations. From this screen, you can highlight a reference. 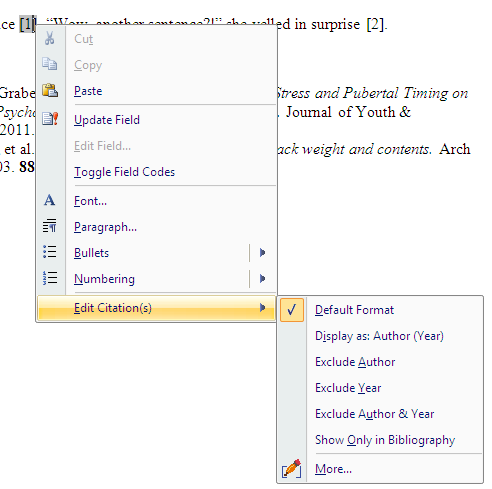 Using the pull-down “formatting” menu, you can choose from some of the more common ways to edit a citation. At the bottom, you can add page numbers, a prefix (e.g “see also”), or a suffix (e.g. “p.4). To delete a citation, choose “remove citation” in the pull down menu to the right of the citation.